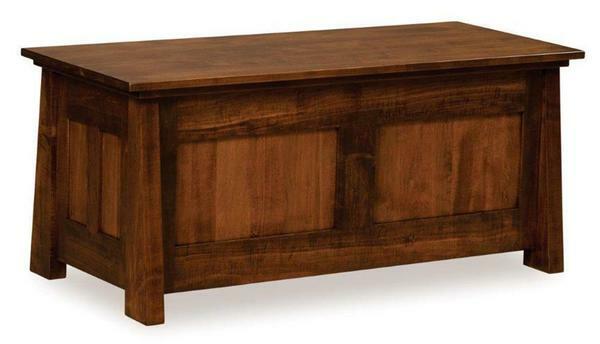 This Amish Freemont Mission Blanket Chest looks perfect at the end of our Freemont Mission Panel Bed or Slat Bed. Many customers choose to use hope chests or blanket chests for coffee tables in the living room for a unique look. Choose to order this as shown in brown maple wood with the Asbury brown stain or choose from our many other wood or finish options. This Amish chest comes standard with a cedar bottom.